The counseling side of my practice is what my clients value most. In my experience, listening carefully to my client’s concerns so we can craft the most creative and practical solution always leads to the best results, and minimizes future conflict and the need to litigate later. Clients can count on me to find a solution that can make their lives easier during difficult times and to simplify complex issues so they can make effective decisions. 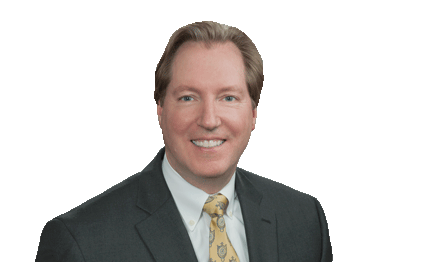 Greg Sampson focuses his practice on estate planning, asset protection planning, business succession planning trusts, probate, guardianship, and non-profit entities. He brings more than 30 years of experience to counseling clients on all aspects of wealth preservation and transfer, including estate and gift tax planning, charitable planning, retirement planning, estate and trust management, trust and estate controversy, trust modification and termination, family asset management and business succession planning. Greg is Board Certified in Estate Planning and Probate Law by the Texas Board of Legal Specialization. Greg has substantial experience concerning the operation, management and taxation of tax-exempt organizations. He advises public charities, private foundations and supporting organizations on a variety of issues, ranging from entity structuring, strategic planning and documenting meetings to reviewing tax returns, working with financial advisors and facilitating charitable distributions. Clients rely on Greg to guide them through every phase of uncontested will probates, administration of the estate and all types of related controversies. He also helps clients establish guardianships for incapacitated family members and develops creative self-help solutions for clients facing unique incapacitation issues that can’t be resolved with traditional legal remedies. Greg is a regular presenter and author on various estate-related topics, including the impact of recent tax reform on estate planning and charitable giving, business succession planning for family businesses and for law yers, asset protection planning, fiduciary duties, Texas' Prudent Investor Act and Principal and Income Act, probate and guardianship administration and procedures, alternatives to guardianships and probate, advanced directives and end-of-life decision-making, and the formation and operation of tax-exempt organizations. Greg is currently serving a three-year term as a district director for the State Bar of Texas, which involves working with fellow directors and officers to execute the strategic plan of the State Bar and making recommendations to the Texas Supreme Court concerning rule changes. He is also a member of the Advisory Board to the Dallas Bar Association. Counseling clients on all phases of estate planning and the preparation of wills and various forms of trusts to effect property transfer goals and minimize estate and gift taxes. Analyzing and advising clients recently relocated to Texas on revising or updating wills and trusts from other states. Representing clients in numerous uncontested Will probates and in administration of the estate. Representing executors, trustees, and beneficiaries in various estate and trust controversies. Representing trustees or beneficiaries in trust modification and/or termination proceedings. Representing beneficiaries and executors in family settlement agreements in lieu of will probate proceedings or to settle contests. Designing and implementing multiple family limited partnerships and other entities for family owned assets. Representing business owners in negotiating and drafting buy-sell agreements. Advising attorneys on business succession for, and purchase or sale of, a law practice. Analyzing client at-risk assets and designing and implementing asset protection arrangements prior to liability claims. Counseling clients on and preparing premarital agreements and separate property and community property agreements and on maintenance of separate property interests. Counseling clients in organizing and in managing tax exempt charities. Preparing estate tax and gift tax returns. Representing taxpayers in gift, estate and income tax audits and appeals. Sailing bareboat charters in the San Juan Islands, coast of California, Gulf of Mexico and Italy, and sailing regattas. Owning Labradors, have raised and loved five in our home.